Paddington Uniting Church is located long Oxford Street, in the eastern suburb of Paddington. 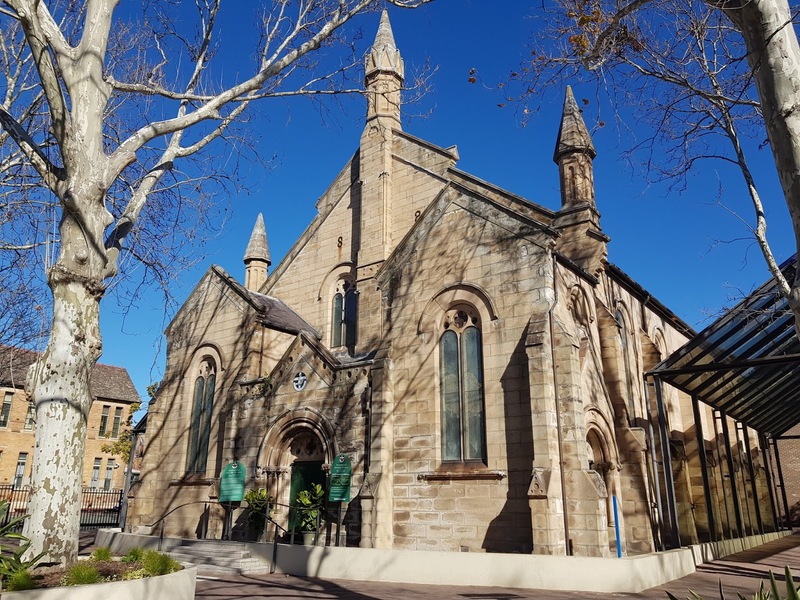 This heritage listed building was designed by Thomas Rowe and built in 1877 in the Victorian Romanesque architectural style as the Paddington Methodist Church. What an interesting style, Jim! I too liked the shadows. It gives the image a nice interest. ...I like the three small spires! Lovely shot! Nicely composed and the shadows are dramatic. It's a beautiful old church. It looks similar to the one I grew up in in Massachusetts. I like visiting old churches and seeing their architecture and designs inside.